One of the first questions we generally ask is: Did Adam and Eve have belly buttons? Think carefully about your answer, because it will speak volumes about your understanding of who you really are and what your purpose is on planet Earth! And if you’re attached to the Biblical story of the ‘first couple,’ you’re in for quite an awakening. (If you’re not interested in the historical info, skip on down to the MetaSpiritual Interpretation! The Biblical Adam and Eve story is a reconstruction, a recasting of much older Sumerian and Mesopotamian creation myths. Adam and Eve correspond to Enkidu and Shamhat in the Epic of Gilgamesh. In the beginning both Enkidu and Shamhat and the Genesis couple live in harmony with nature. They live naked among the trees and wildlife and are naively innocent. However, that innocence is lost once each couple does something that puts them out of harmony with nature and with God. The Eden couple’s story is also a remix of both the ‘Geb and Nut’ and ‘Osiris and Isis’ stories in the Heliopolitan creation myths. And the three male sons of Adam and Eve — Cain, Abel and Seth — correspond to the three male sons of Geb and Nut — Osiris, Seth, and Horus. In Japanese mythology, the gods in Takamagahara (the heavens) charged Izanagi and Izanami, (the first male and female pair of gods to be born), with giving the world form and begetting the deities that would populate the heavens and the earth. Pandora in Greek mythology was said to be the first woman. She was created by Hephaestus who mixed her out of earth and water. Pandora was created at the command of Zeus as a gift to Epimetheus, Prometheus’ brother. According to Greek lure she was created to punish Prometheus and humankind for disobeying Zeus. Pandora’s purpose was to open a jar and to unleash all of the evils and misfortunes imaginable on the world. The main similarity between the Adam and Eve story and Pandora’s saga is the unleashing of ‘sin’ into the world. 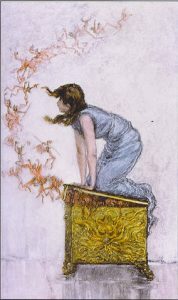 Pandora unstopped the jar that released chaos and misfortune into the world. And Eve similarly ate the mythical apple which, according to a literal interpretation of edited scripture, brought sin into the world, separating humankind from the God in the sky who punished them when they disobeyed. Both women are held accountable for humankind’s downfall. Unfortunately, both women are the scapegoats for an age-old paranoid patriarchal perspective that denigrates femininity. The Aborigines in Australia tell of an anthropomorphic creator called Indjuwanydjuwa who is said to have created the world. He created everything Himself without the help of ‘other deities.’ He created the ‘first couple’ from the mud and instructed them to procreate to fill the world. As a matter of fact, the Biblical Eve is a fictional character, a fusion of at least three different characters appearing in earlier Mesopotamian myths: Shamhat, Enkidu’s wife, in the Epic of Gilgamesh; Inanna, wife of Gishzida in the Dumuzi Myths; and Ninhursag, wife of Enki of Dilmun in the Southwind Myth. Enkidu (from the Sumerian creation myth) is portrayed like Adam as a created being, made of clay and, like Adam, he has no father or mother. What is interesting is that Enkidu is not presented as the ‘first man nor is Shamhat presented as the ‘first woman.’ Adam and Eve being the ‘first humans’ is quite a twist from the Sumerian story. Also, Adam and Eve as the ‘first couple’ are placed in a garden in Eden. However, according to Sumerian mythology they do not meet in god’s garden, they meet at a watering hole in a desolate steppe called Edin. In the Sumerian myth, Enkidu cheats on his wife. Ninhursag (one of the chief goddesses of Sumer) punishes him for his infidelity with several curses. One of these curses caused pains in his rib. Enkidu’s health degenerates to the point that his death appears immanent. Ninhursag finally has mercy on him and eases his pain. The one in his rib becomes Ninti (the lady who makes life, the lady of the rib). In the well-known Biblical version, Adam’s rib is used to create Eve. The word Eve is usually taken to mean the ‘lady who makes life,’ and she comes from Adam’s rib. There is one more interesting thing about this myth. Most people think that men have one less rib than women. This is assumed to be true because it is presented in the Biblical myth as Adam having one rib missing. The interesting thing is that men and women have the same number of ribs. Men and women have 12 pairs of ribs (a few people have 13 and some have only11 pairs). The idea that men have fewer ribs than women is widespread and is simply a myth. Here’s another very interesting finding. In Jewish mythology borrowed from ancient Akkadian writings, Lilith (night creature, spirit or goddess of the night) was Adam’s first wife! (If you haven’t heard that before, we’ll give you a minute to let it sink in). 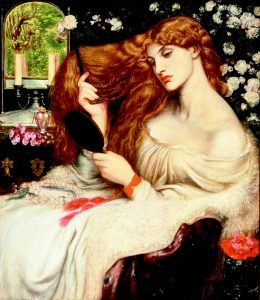 Lilith was created at the same time as Adam and from the same earth as Adam. This contrasts with the Biblical Eve, who was created from one of Adam’s ribs. Legend has it that Lilith left Adam because she refused to be subservient to him. She subsequently left the Garden of Eden and coupled with the archangel Samael who, according to rabbinical writings, is described as the guardian angel of Esau. Assyrian, Babylonian and Sumerian myths tell a similar story about a plant that can bestow immortality and a serpent that prevents the characters from gaining immortality. For example, in the Epic of Gilgamesh, Gilgamesh discovers a plant that restores youthfulness and regenerative qualities. However, it is snatched from him by the serpent. 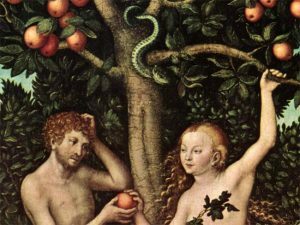 In the Biblical Genesis account, Yahweh tells Adam and Eve not to eat fruit from the Tree of the Knowledge of Good and Evil in the Garden of Eden, saying they will surely die if they do so. However, the serpent convinces them to eat from the tree, saying “You will not die … you will be like God, knowing good and evil.” Yahweh then banishes Adam and Eve from the ‘Garden,’ concerned that they will also eat from the Tree of Life and live forever. In another Mesopotamian creation account, a mythical man named Adapa unknowingly excludes himself from immortality. The tale first appears in the Kassite period (14th century BC). There are three scintillating parallels between the Adapa and Adam stories. Both are tested and condemned because of something they ate; both are forced to forgo immortality; and their failure has consequences for humankind. The god Enki tells Adapa to go to heaven and apologize to the god Anu, but warns him that he will die if he eats the food in heaven. When Adapa declines Anu’s food, Anu tells him the food is not poisonous and that it will make him immortal and sends Adapa back to Earth. Likewise, in Genesis, Yahweh warns Adam that he will die if he eats from the Tree of Knowledge. 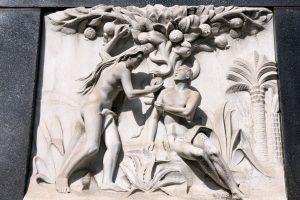 When Adam eats from the tree at Eve’s urging, he is cast out of Eden so he doesn’t eat from the Tree of Life and gain immortality. The eating of the ‘forbidden fruit’ by the Biblical Adam is a remix of Enkidu’s consumption of the fruit and drink. A ‘transformation’ takes place and Enkidu is declared to become ‘like a human,’ implying he might have been an earlier form of human or a spiritual being who was not quite human. As an aside: Our interpretation is that sensory life may not have been available earlier to Adam or Enkidu. Most interpretations suggest that both Adam and Enkidu ‘become like a god’ and live like gods, knowing it is wrong to be naked. Both wear clothes like a god, eat like a god, drink like a god, and dwells on earth like a god. However, what if Enkidu’s and Adam’s bodies are spiritual bodies that have not yet become incarnated at this point in the story? After the ‘forbidden fruit’ is eaten, the Sumerian and Genesis stories once again differ. The naked woman (Shamhat) who caused Edin’s naked man (Enkidu) to realize it is wrong to be naked, is NOT CURSED by her god. All this has been recast in Genesis as Adam and Eve, after eating the forbidden fruit, become like God, know good and evil, and clothe themselves in shame. The Biblical couple isn’t necessarily CURSED – sorta kinda, but their lives are changed forever. According to Sumerian writings, Enkidu and Shamhat left the watering hole of Edin to live in the city of Uruk on their own and were not expelled from Edin by an enraged God. Adam and Eve’s removal from the garden in Eden also appears to be a recasting of the Igigi gods rebellion and their removal from the Anunnaki gods’ gardens at Eridu and Nippur as related in the Atrahasis Epic. Before we leave the mythological and literal interpretations and suggest our MetaSpiritual (metaphysical) take on the ‘first human couple,’ we want to clarify some recurrent misconceptions of the Biblical narrative. Does God curse the ‘first couple’ for their transgressions – or not? Does all of humankind suffer because of the misdeed of two people? Who or what does this anthropomorphic God really curse according the literal, revised, remixed interpretation of earlier myths? According to the Genesis account, God said to Eve, “I will increase greatly your pains in childbearing, in pain you shall be dependent upon your husband and he shall rule over you…” (Sounds like a green light from God to repress women, doesn’t it?). Then this celestial deity who can’t seem to control his anger says to Adam, “… cursed is the ground because of you…” In a tirade he says to the serpent, “Concerning this thing you have done, cursed are you among all cattle, and among all wild animals; on your belly shall you slither, and dust shall you eat your whole life…” (Wow! The big guy really lost it, didn’t he?)! As you can see from these literal passages, the Hebrew God doesn’t actually curse Adam or Eve specifically, yet he seems to hold them accountable for their mess-ups. If you read closely, God only curses the naughty serpent according to the Genesis perspective. We could muse more about what the implications are from a literal standpoint. However, we’re not going to go there because the fundies (religious fundamentalists) and mainstream Christians have already publicized what they believe to be the ‘sins’ of the first couple and the slippery serpent. We’re going to share a MetaSpiritual interpretation that describes the external mythologies of the ‘first couple’ as an internal awakening that can take place inside all of us once we start the quest for Self-Realization (the conscious recognition that we are the Eternal Presence expressing as us). We’re suggesting that all of what you’ve read above that focuses on the ‘first couple’ as flesh and blood people is a metaphor of your evolving spiritual consciousness. The people, places, things and events in the Edin, Eden, Heliopolitan, Takamagaharan, Aboriginal, Akkadian accounts, and so on, represent qualities, thoughts and emotions, habits, characteristics and idiosyncrasies within you. Adam symbolizes the archetypical movement in mind that epitomizes the reasoning, reductionist, objective, logical, deductive, methodical and judgmental nature of our make-up. 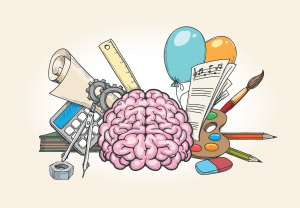 Adamic energies underwrite our left brain-ness and are very much tied to our thoughts. Eve represents the archetypical pattern in our heart-centered awareness that epitomizes the nurturing, highly intuitive, wisdom-centered, subjective, unconditional love-oriented, social and emotive nature of our make-up. Eve energies underwrite our right brain-ness and are connected very psychically to our feelings. The Serpent is emblematic of a part of our evolutionary inter-dimensional make-up that represents our Quantum Self. Our Quantum Self is the sum total of all of our past reincarnations and incarnations. It is the Composite Self that remembers everything about our skin school experiences. 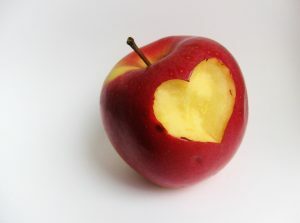 It knows that we ‘will not die’ if we eat of the fruit (experience another reincarnation or incarnation episode). It knows we are eternal spiritual beings who have chosen another physical embodiment. The Tree of the Knowledge of Good and Evil is our physical body and ego-centric consciousness. The Tree of Life is our nervous system. The Forbidden Fruit is our physical incarnation (our fleshy, sense-addicted skin school experience). the perennial disconnect caused by our covetous Quantum Self which yearns for repeated sensory experiences and tempts us to settle for separation and duality (cursed are you among all cattle [conventional thoughts, herd instincts], and among all wild animals [passionate feelings and innovative instincts]; on your belly [gut instincts] shall you slither [lean toward intellectual pursuits]). The Garden of Eden is the Field of Infinite Potential, our super-consciousness, our Christ Consciousness. It is a state of super-conscious awareness that is eternally expansive, boundary-less and limitless. Our individual super-consciousness is the ‘Field’ particularized at our level of awareness and expression. We hope you enjoyed our opinion of what’s up with the Adam and Eve story and how it relates to your spiritual growth. And we affirm your continued Self-Realization, as you walk the spiritual path on practical feet!